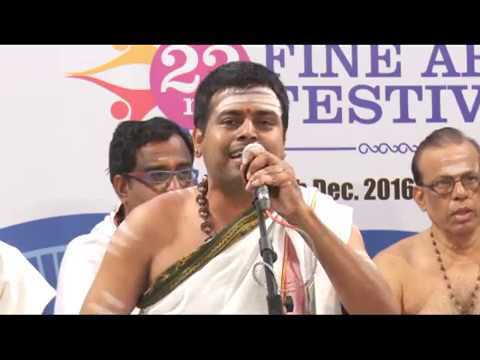 Watch on 31.3.2019(Sunday) at 5.30pm : Akshay Padmanabhan(Vocal)-K.J.Dileep(Violin)-Sherthalai Ananthakrishnan(Mridangam) 7.30 pm : Glimpses from inauguration of Pongal Nataka Vizha 8.30pm : Pareeksha presents Jayanthan’s MANUSHA MANUSHA by Gnani. Watch all these programme in the above player. You can also watch by downloading the Android Mobile App from Google playstore searching for Paalamtv. Subscribe PAALAMTV Youtube channel to get weekly information. Enroll your email id with us at paalamconnect@gmail.com to get prior information about the webcast. Can I view the webcast in mobile,iPhone, iPad , Smart Tv’s ? Yes. Now you can view our webcast in mobile,iPhone, iPad, Smart Tv’s ? I am quiet interested in Carnatic music. Please enroll me. I have very interested in Carnatic music and please registered me too. soothing for the mind and ears. 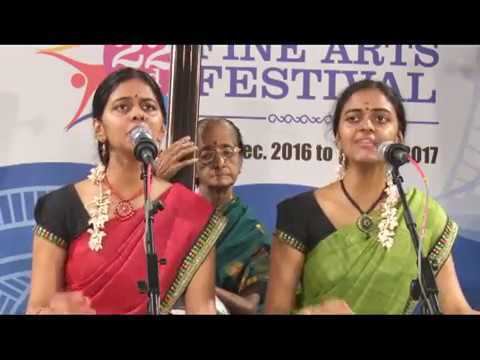 Good rendition of Thyaraja krithis. SUPERB CONTRIBUTION IN THE SERVICES OF SENIOR CITIZENS. A great Seva to our Music and culture. Thank you for an enjoyable concert by Sheerali Ranganathan. My mother who is 93 years old and a Musial herself,who learnt under great Vidwans like Sr Madurai Mani Iyer, Sermadevi Subramaniam Satstr and host of others was able to listen to today’s concert. It made her feel food. is this telecast of mahathi’s vocal concert free of cost or to be paid. The Lec-Dem programme by Jayanthi Kumaresh was fantastic. When will this be placed/ uploaded in your archieve so that I can recommend for viewing to my interested friends? Sorry i cannot do Sir as Artist denied permission to upload the material. Sir. Is there any program today. Thanks. Happy that as part of Chennai December season, you will be organising music programmes from today starting with the violin duet of Shri VVS and VS Murali. Will this and all the other programmes be relayed LIVE? I’m very interested to watch these webcasts. I stay in USA and the time is not suitable to watch it live. Is it possible to play recorded program for benefit of international audience. Why sir? for USA it will be sunday morning. You can watch. I am not able to post a comment because the message come that it sis duplicate even before I post it . Please enrol me for the upcoming programmes Your programmes are good. PROGRAMME SCHEDULE FOR 18TH OCT 2017 WEBCAST WILL THE RELEASED ON 17TH OCT. Team Abhirama Bode – Vocal, S.Subhashree – Violin, Sasanka Mouli Neti – Mridangam did a splendid job and deserve top awards! The RTP and Slokas of Lord Rama rendered in Raagamalika followed by kriti Jaanaki Ramana were the highlights. Shashank was in total control during the tani in Khanda Triputa Taala (Khanda Gati). Once again, congratulations on a superb performance! You guys have a great future ahead. Today’s Aditya Madhavan’s concert was very good both on selection of songs, rendering style, timing and control. Very pleasing voice at all levels. Best wishes to him. Jayanth`s flute concert was superb. Still lingering. many thanks to you. We aged connoisures could watch such a full concert. WE look forward to following weeks. We are far away from chennai, and seeing the Alwar elumbugudu,by Augusto its really wonderful,thanks for Paalam,the acting of contractor and meastry very good.,story also wonderful. Nice concert. Enjoyed watching the entire webcast. appreciate and thank you for your service for cause of karnatic music. Hope that you will continue. very good programme. promising artists. thanks for this episode. i like to enroll for your webcast. Please do the needful. Sunday prog was also very good. 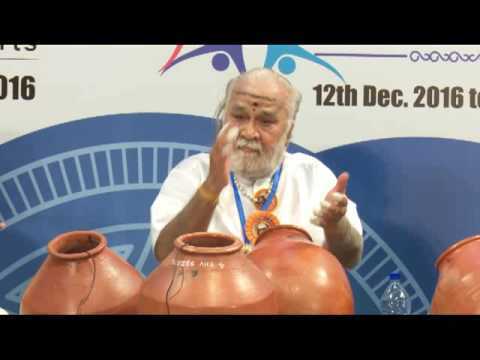 Vedakrishna Ram explained Mridangam playing for dance in a revealing way. Hereafter I shall keenly listen to mridangam also while watching dance. In Malladi Bros pallavi there is a description of Siva ‘Sivakaamavalleesa’ which is not apt. It means the Lord of Siva’s beloved. It would be OK if it is ‘Himavaan’s daughter’s Lord’or some such thing. Such an inelegant description occurs in some Tamil compositions as well as in Dikshitar’s. Fantastic effort . Missed Sengottai Hari’s Bhajan. Can I see it offline? is it possible to view the concerts that are already telecast and webcast? Wonderful concert. I enjoyed it so much . Had a great time! ! Wonderful concert. I enjoyed it so much . 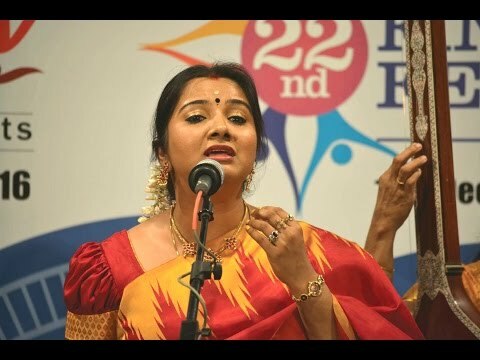 GAYATHRI VENKATRAGHAVAN CONCERT TO GOOD. I AM ENJOYING LATHANGI. dear baskar sir i am listning from coimbatore. the webcast is fine and i enjoy gurucharan sir and the team concert. Excellent concert!! Thanks to Paalam and all the prodigies for this refreshing evening! Audio was great. Now gone bad since the hamsanandi song started. Cant hear vina at all. Pls fix. Nice to see from home webcast. Thanks to mudra sri bhaskar sir. Tx a lot . Enjoyed well both programme. Rajesh Vaiidhya & drama. E mail. Krishvenu32@gmail.com. Ts a lot able to hear enjoy from home. Venugopal.. Informed to my daughter now speaking from usa New Jersey to hear Rajesh Vaidya 5.30 pm INDIA. . 8 am usa Newjersydaton daton. Wonderful concert.. Clarity in Raga aalabanai. Nice Mr.Sivaganesh. Then check your left right balance in your system. This is stereo relay. Very good concert. Enjoyed melodious voice of Sudarshan Ravi. Miruthams is very soothing and sings along with song. Wonderful service from Mudra. Amazing concert by Sudarshan. He was ably accompanied by Thirucherai Karthik on violin and Kavichelvan on Mridangam,. Thoroughly enjoyed watching and listening to the wonderful performance. Sudarshan Ravi’s concert was wonderful. Both violin and mridangam were good. Wonderful service! Loved the concert by Chi. Sudarshan Ravi on 10/07/16. Thirucherai Karthik (Violin) and Kavichelvan (Mridangam) both did a great job accompanying the upcoming artist. Look forward to many more webcasts, thank you. Thanks for making this concert a that available online. I am proud to say that Sudarshan Ravi is my cousin’s son. His rendering of Subbramanyena in Suddha Dhanyasi was impeccable. He has a Melodious voice coupled with a grip on the subtle nuances that too at a young age. He lives in Australia and we in Kuwait but Technology has brought us together on this Kutcheri platform. Thanks for the drama telecast in the evening. watched and enjoyed. Thanks again. Brilliant concert. Such a pleasure listening to this. Thanks for the privilege Paalam. “No video with supported format” is the message I get for the past few weeks ! What is wrong ? We are supposed to get Ramakrishanan murthy’s program today. The webcast is going on nicely. Many people are watching. Sir, we have been doing this webcast for the past 3 years and this is the 4th year. This is successful because of rasikas like you who take time to switch on and listen the same. Keep spreading this information to all your friends and relative around the globe to watch programmes of good value and thanks for your encouragement. you can send a test email to our paalamconnect@gmail.com and register your email ID so that you will be getting a trailer every week. We have learnt about Paalam today only. Enjoying live telecast of concert… Violin performance of Apoorva Krishnan.. Thanks admin..great job in service of music. Very nice.wants to listen full songs.very well organized. Paalam TV is doing yeoman service to the rasikas of carnatic music. Those who are in faroff places they can listen and see their favourite singers and legends of carnatic music. Thanks for the webcast of the concert of Smt.Gayathri Girish. looking forward to more of her concerts. keep up the good work ! Sir we do not upload any programme without the consent of the artists. Can you get permission from the consent artists to upload this concert sir? all devoted singers very good to see and listen. The sahithyams are so pure. ca,nt be better. Thanks to Mudhra and Paalam tv for this outstanding effort. Great treat to our eyes,ears and mind too. We just came to know about this wonderful website. Is it possible to watch old concerts or programs. We really missed some good concerts and programs. Please let us know. Thanks. thanks. paalam. we are enjoying the concert. sooper. we are watching the mixed concert from our mumbai home. where in heavy rain we are enjoying the music rain. thanks and wishes to all the singers. The webcast stopped halfway through Malladi Bros. Concert around 9:30a.m. India Time ! Paalam, which is the pioneer in featuring 52 weeks free webcast of programmes every year, presents a grand treat for art lovers, a Deepavali Special Programme – “KADAMBAM 2015” which will feature 24 hours webcast of quality music, dance and drama programmes on two days – 8th November 2015(Sunday) from 4 pm to 12 midnight(8hours) and 10th November2015 (Deepavali Day) from 4.30am to 8.30pm(16 hours). Thanks for the live webcast. Sucha blessing to all our veena lovers. Namaskarams. Nice to see the advance notice of the next program ! However, your Samudhra website still shows July program only . It is August 14 today. Was just introduced to your website courtesy of Delhi Sunder Rajam’s interview. Thanks for what you do.and perhaps we can help through our website. Keep up the good work. Thanks. Thanks a lot for giving this wonderful opportunity to watch and enjoy the performances of such wonderfully talented young musicians. No words to thank you Mudhra for giving wonderful opportunity to watch programme on MSV, the great legend , who I have admired in my life. Not a day passes without listening to his immortal songs !! It is a great service that you are providing for the music community. I am really thankful but I haven’t been able to catch any of the programs so far. Could you please provide the timings of the upcoming programs? If they are always at the same time, it would be very helpful if you could specify that somewhere on your website. We watched your TV Programme in Podhigai in 6 installments on the Trinity of Carnatic Music. It was very good. Congrats. we suggest you can present other Programmes like Prahallada bakti vijayam, Nauka Charitram of Sri.Tyagaraja, Rama Natakam of Sri. Arunachala Kavi rayar ( though Sow.Sowmya has done it about a year back), Nandanar Charitram- all three hour duration. Once again congrats to you and your Team. Enjoying the concert of Papanasam Ashok Ramani. Good Kalyani ragam.. It is Saturday, May 02, 2015. There is no indication of tomorrow’s program; instead the notice announces last week’s program !! It will be appropriate and helpful,if the on coming program is announced before hand for rasikas to plan.. Just a meaningful suggestion. Today May 10, 2015 , as Malladi brothers’ concert is being broadcast, the information still only shows Last week’s program of Sivaraman interview and Ramakrishnamurty’s programs ! What happened to my earlier suggestion and your reply ? Just for editing one live concert of 4 hours we take the pain of sitting at editing table for more than 40 hours. image we do for 52 episodes and that too we have been doing for the past 128 weeks. Total efforts are capturing the live shows, transferring and deleting unnecessary portions, checking the audio level, separating each song, incorporating song titles and creating promos for the next programme is a full time job for us. Everything adds to the cost which is difficult to meet out with a limited sponsorship by making the webcast free of cost. We do not want make this concept a ticketed one. Hence I request the listeners to contribute by way of donations for this project if you feel it is worth it and help us to grow further. We have been giving bank details in the webcast itself. Thanks for organising a great concert of sangeetha Kalanidhi TN seshagopalanji and bringing it to our home through the technology. Commendable service. Excellent concert of TNS. The volume may be increased for the sake geriatrics like me. It will nice if the artists names are shown periodically during the course of the concert. the more I hear, i admire this team.violin and mridangam are aslo suprb. Very thrilling .All the three merged eqaully.well. the vocalists SWANUBHAVAM ys superb.The Kirthanas were super. How the internet is able connect people as never before.Thank you for the great service.We wish all the best to continue . Great job! Homage to the nadabrahmam thyagaraja! Sincerely I appreciate your efforts. Superb programmes. I fully enjoyed it. I nice programme for aged people like us.Thanks. For those who are retired and got arrested at home due to their old age weak health they may find it very difficult to go out. Under that circumstances this is a boon for them. It applies to me too. Thank you for this novel, noble and useful service. Wish the program and webcast continues on 24x7x365, though it may not be practically feasible. For the larger population of music lovers the interviews at least should be uploaded in you tube so to say” Loka samastha Music Bhavanthu “. with the consent of the artists. Thank you for the excellent Deepavali Gift you have given to rasikas all over the globe. WE are watching the webcast with intense. The audio and video quality is very good. Continue the Good work. God will be with you in all your endeavours. A marathon effort by Paalam – kudos to you! I am watching the interview of Sivaraman sir. What a fund of information he has shared. His expression is truly excellent ! Just now, I saw the details about your Music Appreciation Programme which is truly of great benefit to rasikas to upgrade their music knowledge. This is the need of the hour. Where can I get further details about this course? I would like to join. Details of the Music Appreciation Programme appears in between the programmes Keep watching or write us to our email : paalamacademy@gmail.com so that we can send the same. I am a senior citizen and can’t go out to sabhas to listen to concerts. Paalam has come as a great boon for people like me. What quality programmes that too all free to rasikas. I bless you and pray that your service continues more strongly. I have been watching the webcast right from morning. You have indeed provided a variety fare of programmes. I appreciate your paalam team for the great efforts you have put in. wish you all success. Watching interview of Umayalpuram Sivaraman Sir. Highly informative.Kudos to Paalam team! Koothapiran’s ‘Unaal Mudiyum Thatha “ drama was splendid to see !!!! Thanks to paalam and wish them to show more dramas like this!!!! I can see many viewers are watching this Deepavali Programme. You may be aware of the quantum of efforts which we have put in production of this deepavali project. If you could take some time to write your impressions in the comment box about the programme, it will help us to grow further. Excellent Beginning WISHING ALL PAALAM VIEWERS A VERY HAPPY & PROSPERUS DEEPAVALI ! 8.44 p.m. – Mangalam and Paalam’s 2014 Marathon Deepavali Webcast ends. Please sit back, enjoy and write your views of this programme on the comment box provided below the player. Wonderful events and enjoying it thoroughly! Congrats to one and all for this mammoth Efforts! Hope you are all enjoying Paalam’s special webcast from 4 pm. Now Kathady Ramamurthy’s drama APPA APPAPPA is going on. We are getting an error loading stream – id not found on server error. It has been announced that the deepavali special webcast is on 19th oct from 4pm to 12 midnight (IST) and 22nd Oct from 4.30 am to 8 pm. You get the programme only at the time of webcast. It starts at 4 pm only. You have said you have been trying and you get the error. This is for your informaton. Please do not miss to login at 4 pm today. Today is 19th or 18th oct 2014 in india? Sir you are searching the programme one day ahead. Congrats on your new venture. The program is excellent. Please keep it up. Dear Viewers, We take our sincere apology for the interruption from 6.05 to 6.50pm (45 mts) due to technical snag in our server. Hence we are able to relay only 40 mts of the first prog., and the next prog. by Dhushyant Sridhar will start now. We assure you that we will take more care in future. I am really stunned by the performance of the virugampakkam school children. The child sitting in the front row singing the birhas and sangathis effortlessly.the child sitting in the backrow right is dancing nicely .It is a treat to watch The Bhakthi bhava flows in each song.their teacher who trained the students deserves high appreciation.may god bless them all. What a melodious bhajan we had today! The Budding Mridangist and the young harmonist deserve all praise. The lone boy singer was excellent. The whole group exibhited a high dedree of musci proficiency! Good encoragement to youth talent . When children sing together, the bhajns are very moving. God Bless you for this great effort. Wonderful thought and thank you so much for bringing such wonderful things right into our home. Thanks a ton. Keep it up taking Carnatic Music to distant place. just heard the Bagesri song, soon after that followed OST singing Vathapi Ganapathim. i know this is the promotion for the next concert. We are grateful to the Paalam for streamlining many programs. Because of time difference, we are not able to watch the program at the time of broadcast. I watched and listened to the excellent trailor presentation on Niraval by Suguna Purushotham. How do I get to listen to the whole lec-dem? thank u so much for giving us this wonderful webcast..but it would be even better if you make the webcasts available for viewing even after the live webcast…please make this possible..
kindly send me the details to my mail id. Why there is no update of programme on the left side of the page today? The blank update is pertaining to today’s programme. Some time the viewers confuse by clicking on the glimpse. So we keep them blank during the webcast of the particular programme. Now you can see the same in another 10mts. I am a student of carnatic music and your 52 week webcast series has been very useful to me. How ever there are times when I am not available during time of webcast. My kind request is that if you could make the webcast videos available for a week or a few days after the webcast to people like us. I’d be really greatful. Thanks for the drama telecast which carried good message to both elders and youngsters of present generation. It was an excellent program. Your dedication and efforts for these precious arts are much appreciated. can i get audioo cds for 4 hour concerts of artistds? Enjoying presently Mokshamu Gaalada and week after week excellent concerts right from our Home / Office or where ever we are in! Thanks to Team Mudhra, Samudhra & Paalam! Sir you can view our webcast in iPhone, iPad , Android , SmartTV and also in tablet. For this you have to download Puffin Web Browser from your App Store. Puffin Web Browser supports flash files & will play the webcast. However, the quality of the video will depend on your internet connectivity. Smt Gayathri venkataraghavan’s concert was excellent. Audio. video was clear and appreciate your efforts to bring concerts to our houses directly thro this webcast. 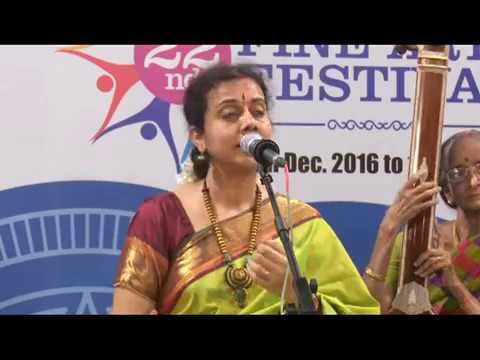 Thanks a lot for giving us an opportunity to listen to this wonderful concert by Smt Gayathri Venkatraghavan. The Karaharapriya was a real Musical treat . Your webcast is a boon for all carnatic music lovers. Wonderful concert by Gayathri Venkatraghavan!! Thanks for bringing great music to our living rooms even though we are 1000’s of miles away…. Thank you for continuing this wonderful service to Music lovers all over the world. You have embarked on a big project like this. Both of you have been working tirelessly to achieve your goal. Normally the initial enthusiasm will disappear after a certain period of time. I am happy to find that you have sustained your interest and you are marching ahead. Our hearty congratulations. Senior citizens and lay rasikas like me look forward to your paalam webcast. We wish you ALL THE BEST. We have no words to express our appreciation of the Sunday free webcast of Music & related matter. Today, we listened to the concert of Malladi brothers and, as usual, it was top class. We are Senior citizens and we are unable to attend the concerts because of logistics. Your webcast will fill that vacuum. God bless you. Just viewed the concert of Malladi Brothers.Thanks a lot.Enjoyed it immensely.Thanks a lot. Hope to see more programs like this. I sincerely appreciate broadcasting live concerts. Due to the time difference and extreme early hours , It some times very difficult to listen the broadcast live. Could ti be possible to archive the concerts make it available for 24-48 hrs? it would help world wide Carnatic enthusiasts to appreciate the music.. I am a very regular viewer of this webcast. The services are commendable. I shall be glad if you could email the details of the webcast in advance to enable to plan. very happy to see the programme. This music appreciation programme we(both myself mudhra bhaskar & Dr.Radha) have been conducting for the past 8 year mainly for the general rasikas and primary level music students. This is one of our mission to elevate the listenership so that rasikas understand the system of carnatic music and enjoy the music better. We have been conducting this as 14 hours course which explains the system and content of carnatic music. We have plans to conduct monthly course both direct and online classes. Those who are interested in this can send us your willingness by email to paalamconnect@gmail.com so that we will keep in touch with you about the schedule of the course. You are doing a wonderful service for techie music lovers. Keep the great work going. Our best wishes and congratulations to you. Fantastic program of Key board by Sri Sathanarayana. I request all the paalam viewers to give your opinion and appreciation on today’s programme and also about the paalam concept of 52 week free webcast in the comment box provided below. This will be an encouragement for the artists and our paalam team. Glad to share with you that our unique visitors has crossed 5.5 lakhs as on today. We take utmost care in editing the live concert with an intention to give neat presentation and also include the name of song, raga, tala and composer for the benefit of the viewers. wonderful sir! Thanks a million for extending an opportunity to us! Wonderful concert and a good Thani Avarthanam! Thanks for the webcast as many of us who could not attend in person are happy indeed! is run by professional musicians. No words to appreciate your effort. Pl continue your webcast. It was very nice listening to carnatic music concert. I request u to continue the spirit of spreading carnatic music. Thank you for telecasting 24 hours programme. We enjoyed all the items. are unable to attend the performances. Our sincere thanks for having given us a great opportunity to stage our drama.” Naan vediththal deepavali ” on the 24 hours non stop event ” kadambam ” on Diwali festival . We received many appreciation calls and they really enjoyed the play. Once again thank you for your excellent service to arts through paalam TV. Wish you happy Diwali. The webcast was really wonderful. Thank you making this Deepavali memorable with your 24 hour program. We in our area in Ohio enjoyed it. We seldon get to watch such programs except for Aradhana once a year. Wonderful streaming! Kept us linked with Chennai all thru the day! Fantasti!! Good Streaming. Enjoying Mahathi’s Kutcheri. Kudos to your great effort. Wishing you and Paalam viewers a Very Happy Deepavali! great effort to make public happy. Now watching the Drama enjoying the comedy and Mr. and Mrs. Bhaskar has found great way to propagate the valuable things of culture இயல் இசை நாடகம் . பாலம் டிவி மூலம் எங்களை மகிழ்ச்சி கடலில் மூழ்கவைக்கும் உங்களுக்கு தீபாவளியுடன் கூடிய நல வாழ்த்துக்கள். I remember a speech by violin maestro Lalgudi Sri Jayaraman some years back in a function where he said he wished somebody would bring out an exclusive channel for carnatic music. Today, his dream has come true through Paalam. I am sure he will bless you from heaven for the yeoman service you are doing for our great fine arts! Hearty congrats ! I must applaud efforts like this by Mudhra Bhaskar and others. This programming brings a bit of Chennai into our lives wherever you are in the world; they’re especially useful for my dad in Chennai who cannot get around much these days. I put the iPad on a stand and turn on these webcasts and my dad can be watching a concert from his living room. through news papers, which we may missed, if not seen the paper. In our 52 week free webcast of paalam, we have been requesting the viewers to register them by sending their email ID and more over every friday for the past 11 months hindu and times of india has been giving the webcast as a news item in Friday supplement. We have been sending bulk emails to thousands of rasikas before the programme. Mr.Muralidharan… please ask your friends and relatives to register their name by sending a request to paalamconnect@gmail.com. Happy Deepavali and enjoy the 24 hours webcast tomorrow. i am very much pleased on your immediate reply, the content of which i came to know just now. We are excited that our play ‘Thanneer Thanneer ‘ was webcasted with a documentary on Komal and a tribute to him closer to the date he left us. (28th October). I received so many appreciation calls from various parts of the world, Komal’s master piece and our effort is known to a wider audience through your Paalam. Mudra Baskar sir, i wish your great service continue with full time programmes in Paalam TV in future. In fact, I became aware of this excellent webcast, Paalam, only in the last week of August through ‘rasikas.org’ and been following right from the next immediate Sunday, 1st Sept., planning to continue the same for all the 52 weeks starting from Sept, 2013 to learn something from these webcasts as a sincere teacher. But, surprisingly enough, only yesterday, I came to know that this webcast is going to conclude its 52nd week on 24th Nov., 2013. By all this I can have only the remaining 13 Sundays i.e., only one-fourth of the total webcasting-period and loose three-fourths of them and felt very disgusted (now, only 5 Sundays more are left). As all are aware, Chennai is the centre for our Karnataka music and daily a number of music-concerts of all categories go on there maintaining the needed healthy environment for music simultaneously helping the aspirants to practically attend them and learn from them regularly. But, as a webcast covers much of our globe and if the organizers are kind enough to allot even one-fourth of these webcasts, at the least, for the educative Lec-dems and workshops on music the aspirants remaining out of Chennai will also be benefited as they, very rarely, are exposed to such kind of environment at their places. But, most unfortunately, most of the Chennaites are always used to bother about the performers and their listeners only but not the poor aspirants at all as they already have that kind of music environment perennially. For example, the Violin-aspirants of our Karnataka music, not only of Chennai but also of all over the globe, have already lost the invaluable finger-techniques of our legendary Violinists due to the sheer negligence and ignorance of the Channaites. Even the present webcasting also again proved that the attitude of Chennaites will not help much to the poor aspirants of our music in this respect. Unless the elders take enough care in properly educating and energizing our kids in music where the legendary performers come from? Most of all our aspirants are taught the even-Chaturashra-gati only either in respect of our Alankaras or Varnas but not the least odd-Trisra-gati at all making most of them impotents. Any individual must be able to deal with not only the even-figures but also the odd-figures equally. This applies even to music also. We all feel very proud to have thousands of performers but never feel ashamed not to have efficient and honest teachers even on finger counts. Even now it is high time to realize that many of our music-institutions or the Department of Music in many of our Universities are mostly producing impotents only by not doing the needful. I am ready to prove this at any time and place. But, unfortunately, there is not even a single person to do the needful even n respect of our own kids. As all are aware, there are two kinds, performers and teachers, among musicians. Everybody who learns music always prefers to shine only as a performer and also to earn everything as much as he/she can in his/her lifetime (that is why no performer prefers to retire even after 60 years of age). Among them, the performer always strives hard in working only for self aggrandizement in all respects pleasing the listeners and getting their appreciation and earning something or the other from them (that is why most of the people bother about holding a number of Lec-dems and workshops on musical appreciation only but not on teaching methods which are very important to the aspirants). He/she always practices what he can and performs only what he can and always tries to get the rapport with the listeners only. Thus, either the performer or the listener never bothers about the teacher or the aspirant but, unfortunately, the performer resorts to teaching also only to earn when he/she doesn’t get any chances to perform in any concert. But, always an efficient and honest teacher truthfully serves the society sincerely feeling the responsibility of shaping the aspirant in such a way that the aspirant can face any problem at any place and time and solve it efficiently. By all this a society always needs an efficient and honest teacher only than a performer. Being a professional teacher, I have expected much from the webcasts of ‘Palam’ but disappointed much when I have gone through the webcast of the Svarakalpana by Dr. TS Satyavathy. She very efficiently and very nicely sang the Kalpanasvaras with Ragabhava on 1st Sept., but did not give any details of mathematical importance in singing Svarakalpana which is the major part of Svarakalpana and which is more helpful to the aspirants in acquiring the knowledge in Manodharma Sangita (in fact, last year, I had held a one-week-workshop from 7 am to 7 pm daily on Svarakalpana and Ragalapana in Kerala with reference to http://rasikas.org/forum/viewtopic.php?f=3&t=19085). Surprisingly enough, nobody even commented about this even after the lapse of more than one month. Though we appreciate your view point, we have been very clear about our target which is the rasikas and not music students. The lec-dem by Dr.Sathyavathi was part of our conference on “Appreciating Karnatic music” and the idea of this session was to educate rasikas about the nuances of kalpana swaras. We had many more such sessions like appreciating compositions, raga alapana, niraval etc.I want to make it clear that we did not intend it to be a teaching session for the students and hence we specifically asked the speakers not to go into the technical details of the subject. I would also like to express that performers are equally important in the concert scenario as they are the ones who communicate the music and reach it to the people. So, their contribution cannot be underestimated. Without them, the music will remain only within the four walls – shared between the Guru and shishya and never get to reach the rasika. Earning a livelihood is a part of any profession and we cannot criticize a performer for that.Why, gurus also earn good money nowadays through teaching. They don’t do it free as an act of charity! Also, there is a lot of disparity in teaching methods and what is suitable for one may not be so for another. Each teacher has his own view point and as of now, we aim at only enlightening “rasikas” about the karnatic music system and elevate their listnership. In future, we may think of implementing your idea of targeting the students of music with inputs from learned Gurus like you. I am so glad I stayed back and not leave as soon as my daughter finished singing.What a great way to spend my Sunday evening listening to school children taking me to bhaktimarga and divine bliss. Time well spent! A big kudos to the husband and wife team who are doing a yeoman service for the Indian youth who definitely need a direction …to look into our own roots rather than ape the West. It was heartening to see my driver talk about how he enjoyed the day and the groupsinging. I fully concur with your views. A great service by Paalam and its team. FANTASTIC EVENT BY ALL SCHOOL CHILDREN IN YUVA SANKEERTHANA FESTIVAL. It is heartening to watch so many school children doing Nama sankeerthanam. Our heritage and culture are in the safe hands of these kids. Our appreciation and gratitude to Mudhra Bhaskar & Radha Bhaskar for their PAALAM. Is there some way we can watch the missed programs? could you add the programs to an archive after the webcast.? Your idea is good, but our idea is to motivate the listener make themselves free during a particular time and watch the webcast when the web cast is done. Take for instance of a sabha’s live concert, if the rasika miss the opportunity it is gone. A seriousness has created among the rasika. There are enormous concert and bhajans are available in the net… some rasikas may think they can see when time permits but the time will never come for them to listen. Moreover, we have to see the cost for the repeat. Of course, we have plans to re-relay certain good programmes especially for those who have missed. Keep watching paalam the one and only organisation webcast programmes free of cost. Thanks for giving us the wonderful opportunity to listen to all these young school artists giving their best nama sankeerthana performance! The amount of practice these children would have made for this performance is to be definitely appreciated. Very good programme.Nnice way to give tribute to shri PBS. What a unique music feast from the versatile artist Arunji ! Thank you so much. Very nice programmes. Very good for us in abroad. Thanks a lot for the great programs. Definitely a wonderful opportunity for all music and art lover around the world. Special thanks to all the corporate sponsors. watching this wonderful program from Singapore. Wonderful! Thanks Paalam team! Great programmes. Gives us in the US to lsiten to carnatic music. Thank you. Paalam Team! All telecasting programs are nice!!! It is very enjoyable. Thank you. I look forward to Sunday evening every week to listen again.